We’ll all be yelling “For the Throne” for the last time soon, with the FINAL season premiere of HBO hit GAME OF THRONES this Sunday, April 14. 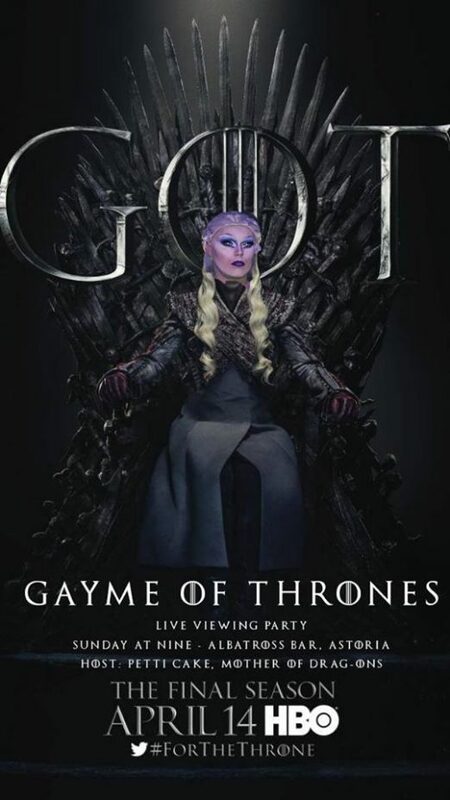 Luckily you can bond with other locals who are sad to say goodbye to Jon, Khaleesi and the whole crew at trivia, premiere parties and more all over Astoria! Winter is coming to the Shady Lady! Join us for Game of Thrones trivia where you can find wine, dinner, and prizes if you can win the Iron Throne. 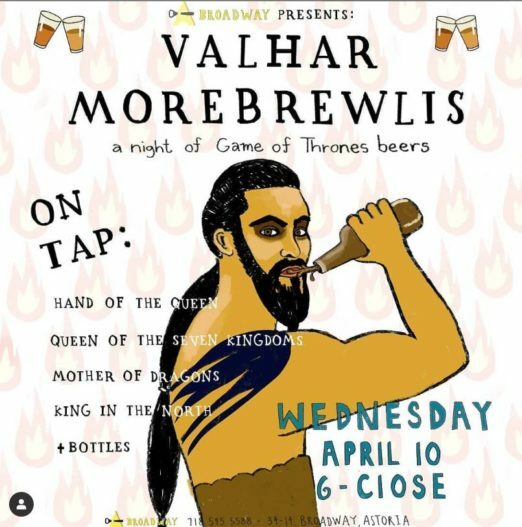 Valhar Morebrewlis (all men must beer)! Enjoy on tap: Hand of the Queens, Queen of the Seven Kingdoms, Mother of Dragons, King in the North, plus more selections in bottles. There will also be two GOT themed sandwich specials available. When: Sunday, April 14 at 9 p.m. When: Sunday, April 14 at 10 p.m.
Snowdonia will be screening the episode at 10 p.m. and will be offering special GOT scotches and GOT Ommegang drafts. 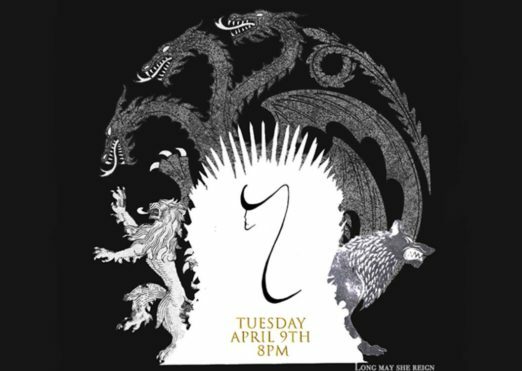 The Huntress Bar in LIC (from the same owners as The Baroness) put a sneak peek on their Instagram that they will have a GOT finale premiere party. They promise more details soon so follow them on social for updates. Thanks to reader Michael G. for this tip! 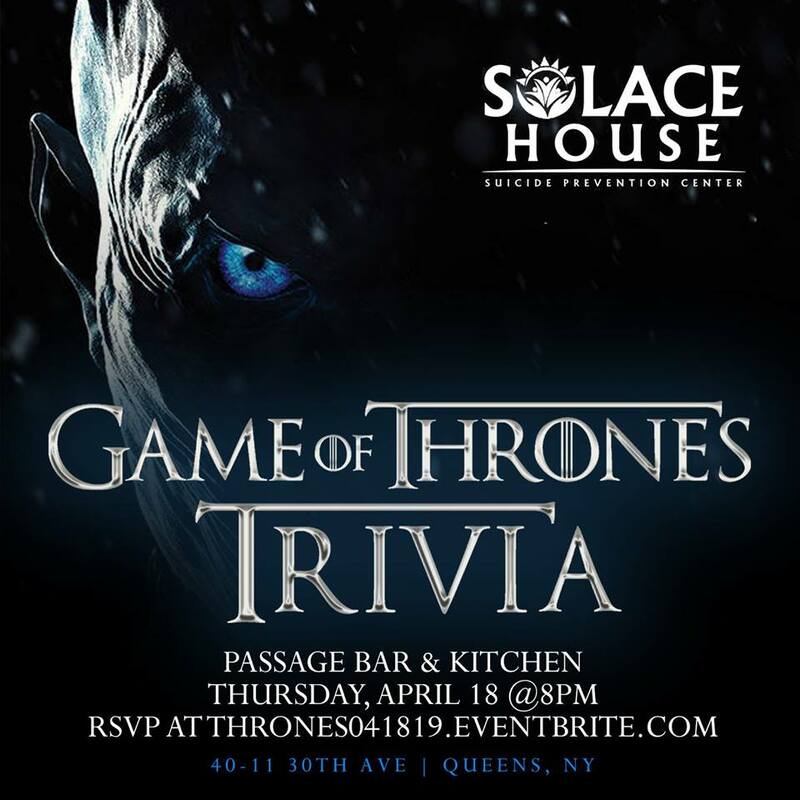 Grab your Valyrian sword as we celebrate SEVEN seasons of wedding mishaps, family squabbles, and good guys always winning at Game of Thrones Trivia, presented Solace House at Passage Bar & Kitchen! We’ll be hosting FIVE challenging and unique rounds on all SEVEN seasons. Information is the key. You need to learn your enemies’ strengths and strategies. You need to learn which of your friends are not your friends. RSVP or send a raven at; https://Thrones041819.Eventbrite.com. Please donate to Solace House, Suicide Prevention Center at https://solacehouseinc.com or make an appointment today by calling (718) 482-0001. You missed The Baroness in LIC looks like they will be doing a showing as well! Thanks so much – I’ll add!